ActiveSeam 502™, Building ActiveSeam locally - Merrow Sewing Machine Co. 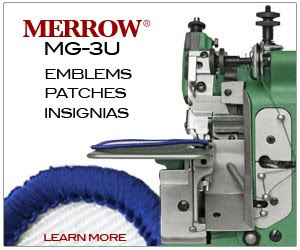 Since 1838, Merrow® has been building the world’s finest industrial overlock sewing machines and currently provides customers like Nike, Hugo Boss, Brooks Brothers, Milliken, Gildan, Glen Raven and Penn Emblem with technical and proprietary sewing solutions. Throughout its 175-year history, Merrow has contributed to the worldwide development of textiles and is now a global brand represented in 65 countries by more than 300 sales agencies. Merrow is headquartered in Fall River, MA. Today, Merrow proudly announces the ActiveSeam 502™ Production Program and the Merrow Stitch Lab®, which represent a new business model for developing and producing apparel in the United States based on the ActiveSeam stitch. The ActiveSeam 502 Production Program and Stitch Lab allow the local production community to capitalize on the global success of the ActiveSeam stitch. ActiveSeam was invented in 2010 in Fall River, and released to the public last year. It is a new stitch type - the first stitch ever to be branded. ActiveSeam is a technical, marketable, and aesthetically distinctive stitch that replaces common forms of stitching. The new stitch has captured the imagination of designers, production engineers, and many of the major athletic apparel manufacturers. In partnership with A&E (the world’s second largest manufacturer of thread) and Groz Beckert (the world’s largest sewing needle manufacturer), ActiveSeam has developed into a technical collaboration that allows designers to engineer unique versions of the stitch for their specific products. With major brands around the world requiring ActiveSeam development, Merrow is introducing a production program to support the rapidly iterative qualities of ActiveSeam and provide a simple, cost effective way to make products with the stitch. ActiveSeam 502 is a new business model designed to leverage the worldwide interest in ActiveSeam and locally generate new production. It will help brands worldwide rapidly develop and produce variations of ActiveSeam in small-to-medium quantities - and significantly impact their ability to bring unique and competitive products to market. ActiveSeam 502 changes the way the ActiveSeam stitch can be developed and deployed. It will change the way that brands consider using branded stitching in their products, and it will provide designers with the freedom to build custom-designed seams into a myriad of products. In partnership with local production facilities, Merrow will provide brands producing under an ActiveSeam license with the ActiveSeam machines required for their production at no additional cost. ActiveSeam produced through the ActiveSeam 502 program requires no capital costs for sewing equipment. Machines will be configured and deployed on product cycles before being returned and retooled between production runs. The ActiveSeam machines will be available exclusively to licensees, protecting custom engineering developed in the Stitch Lab. The ActiveSeam 502 program reduces costs for all parties. It also improves any brand’s ability to rapidly innovate and move product to market while providing local businesses with a unique and valuable production option to offer their customers. Approved ActiveSeam 502 partners will be listed on activeseam.com. Businesses interested in affiliating with ActiveSeam 502 may request more information from Brian Foley at (508) 689-4095 or bfoley@merrow.com. The Stitch Lab is a unique offering from Merrow that provides the blueprints for an ActiveSeam stitch. The Lab is best viewed as a process where an organization works with Merrow to achieve a single goal: create a stitch that matters. It starts with a vision and/or product brief, followed by an analysis of fabric and stitch requirements. We listen to what features will be most important to a brand’s customer and provide direction based on the intended aesthetic, strength, stretch, abrasion resistance, comfort, etc. To create a unique, proprietary ActiveSeam, we focus on product design and function before applying two critical pieces: our understanding of the MB-4DFO ActiveSeam machine’s mechanical intricacies and a highly specialized approach to thread selection. The result is a stitching story worth talking about with customers. All machines used in the ActiveSeam 502 production program will be configured in the Stitch Lab. Today, Merrow is run by brothers Owen and Charlie Merrow, the great-grandnephews of company founder Joseph M. Merrow. The company was relocated to Massachusetts in 2004 and renamed The Merrow Sewing Machine Company. 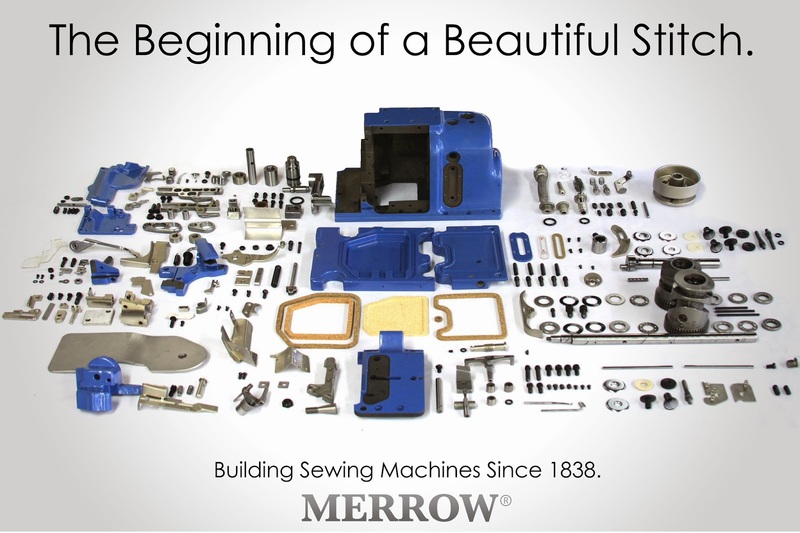 Currently based in Fall River, MA, Merrow has led in the invention, manufacture, and sale of industrial sewing machines since 1838. 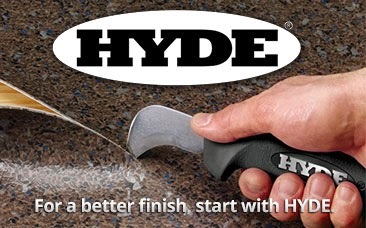 The company has become an industry leader in web-based content, cutting-edge online support development, and training systems to advance its global network of 300 distributors.